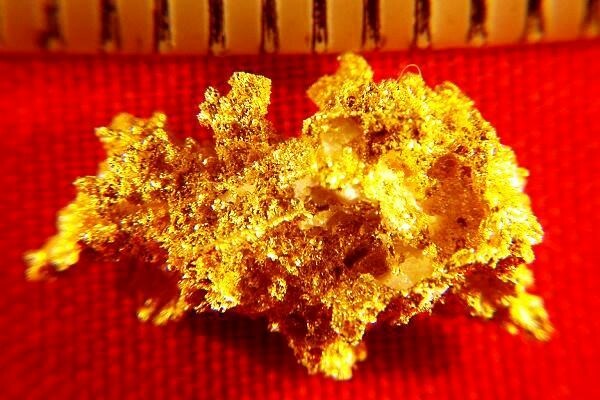 This gold nugget crystal specimen from the Mockingbird Mine in Mariposa County, California has a super nice crystalline texture. It is gorgeous and the color and texture is amazing. A super nice gold nugget from a famous location. 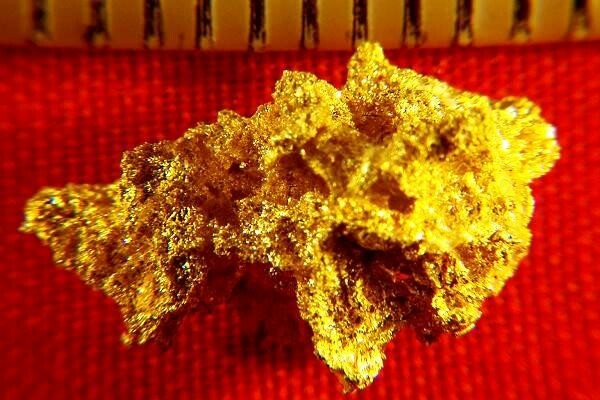 This gold specimen is 5/8" (16 mm) long and weighs 51.9 grains (3.36 grams).